We're back with a comedy from the Netherlands. Feature starts at 7pm, doors open at 6.30pm. Cultural activist Mariam Maslouhi will introduce the film (by video). 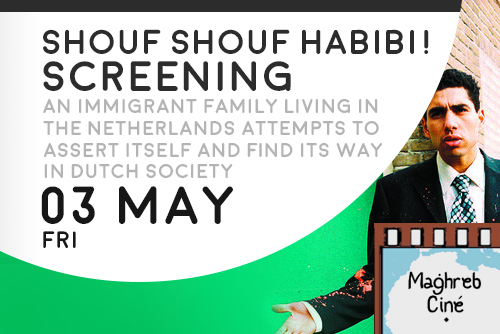 SYNOPSIS: An immigrant family living in the Netherlands attempts to assert itself and find its way in Dutch society. Their young son, Ap, needs to decide between integrating or marrying a woman from 'back home'. But Ap definitely wants to be rich and has some toughs choices to make in this east-meets-west comedy.